Autronica | Haven Fire & Safety L.L.C. Autronica are a part of the United Technologies Corporation (UTC) and have been pointing out the direction and paving the way for safety system development for the last fifty years. Autronica “Firsts” include the first transistorised conventional fire detection system (1959), the first low voltage smoke detector (1970), The first analogue addressable fire detection system (1979), The first analogue addressable system with “DYFI” active handling of detector signals (1989), The first self verifying detection system capable of controlling itself (1999), The first fully integrated addressable fire and gas detection system (2004), The first integrated IFG system with SIL2 approval. From their factory in Norway, Autronica have developed state of the art safety systems to the most critical applications operating in the harshest environments the planet can offer. Autronica are continuously seeking improvements and introducing technology to enhance a safety system’s capabilities in detecting real incidents as early as possible, whilst suppressing non hazardous events from creating spurious alarms. The system is based on a distributed and highly modular concept. The fully addressable solution provide high resolution diagnostics and full detection chamber self testing and calibration every 24 hours. 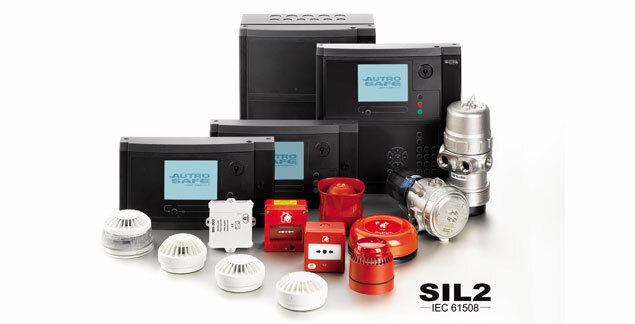 The AutroSafe integrated fire and gas detection system has been developed to be in accordance with worldwide standards and regulations and is also approved by all the major classification societies including BV, USCG, Lloyds and DNV. Autronica, together with Haven Fire like to think that silence from any of our operational systems provide the good news of an undisturbed and safe environment to any professional operating in the demanding energy business.